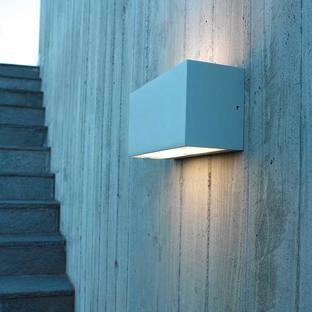 Soft wall wash illumination, perfect for staircases. 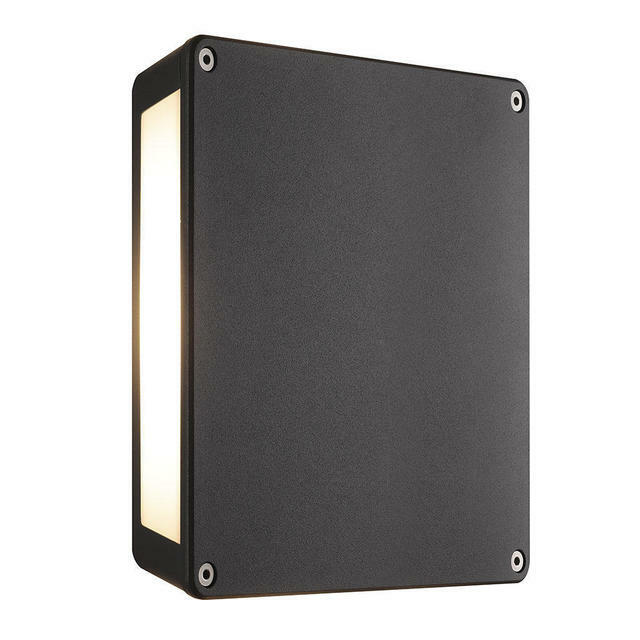 The Tamar Panel wall light is an excellent choice for giving a wash of light illumination on the walls. The LED's cover all four sides of the lamp, but included are 3 panels so you can reduce the number of sides casting out light if required. The light can be mounted as a ceiling light when only the ceiling and the upper part of the wall require illumination. 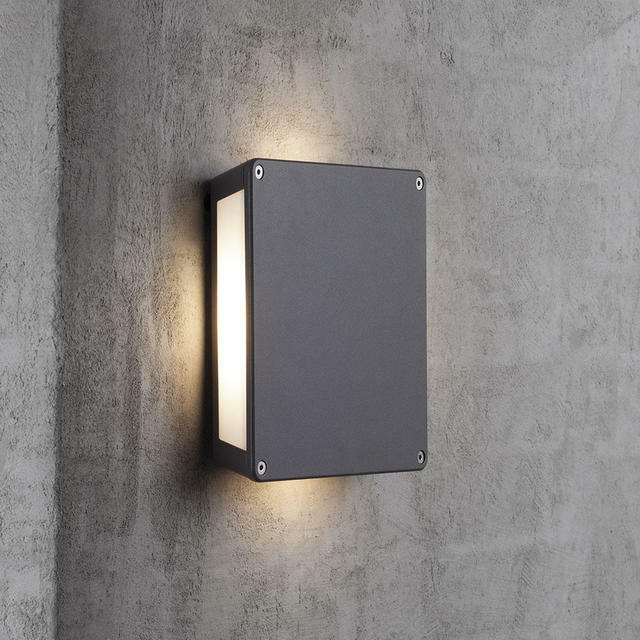 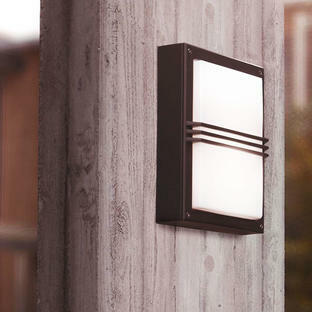 When mounted on the wall the light can also be tilted 45 degrees if required, which creates another light impression. 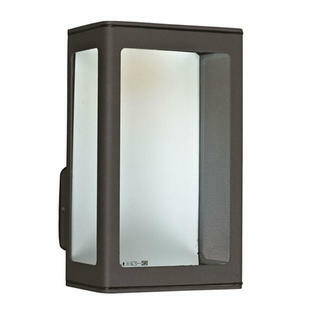 Available with either a Black or Grey finish. These LEDs are not replaceable but do have a 5 year guarantee. 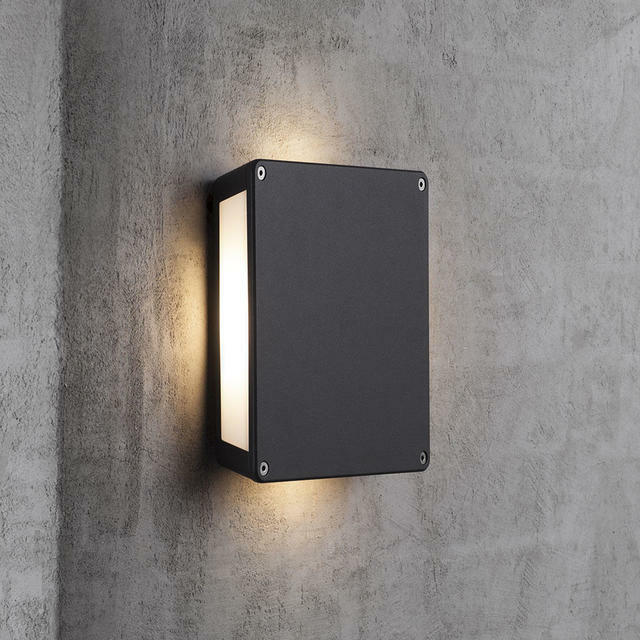 Also available in a similar style is the Tamar Clips wall light.